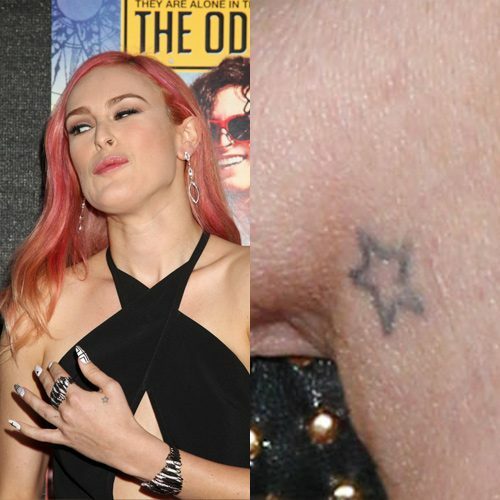 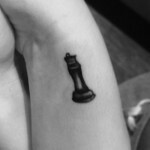 Rumer Willis has a tiny outlined star tattoo on her left hand. 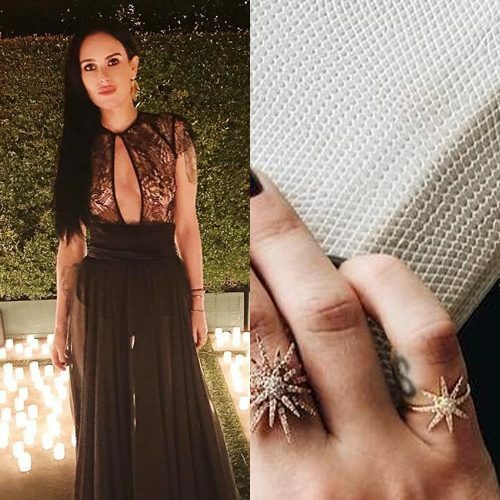 Rumer Willis has a skull tattoo on her right pointing finger. 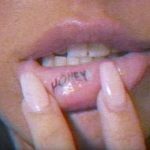 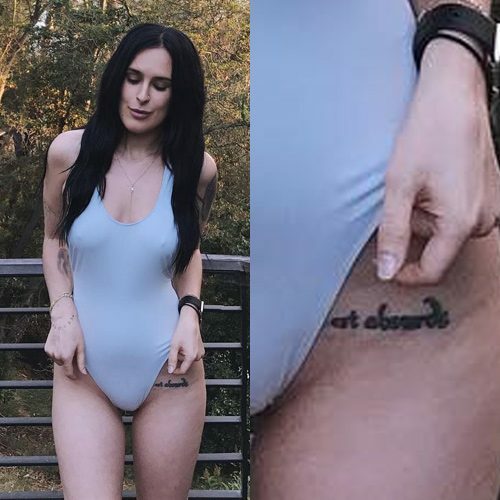 Rumer Willis had the word ‘Sauce’ inked in cursive along her right hand. 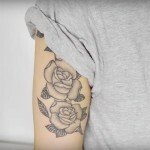 It’s a term of endearment she and her sisters Scout and Tallulah Belle use between themselves. 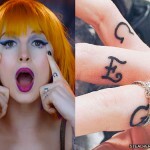 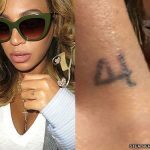 Rumer Willis has a tattoo on her right pinkie finger which seems to be an initial. 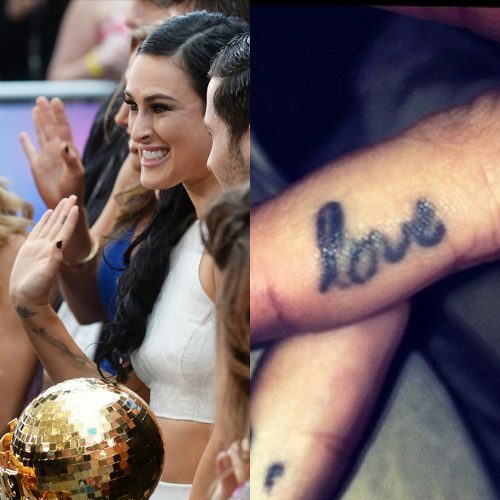 Rumer Willis has the word “love” inked on her middle finger on the right hand. 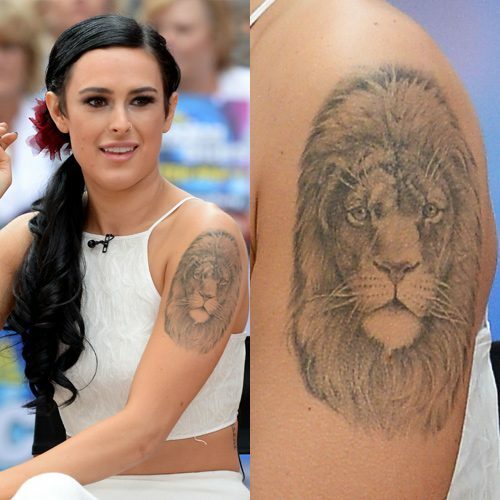 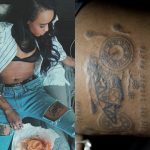 Rumer Willis has the message “CARPE DIEM” inked on her right ribs. 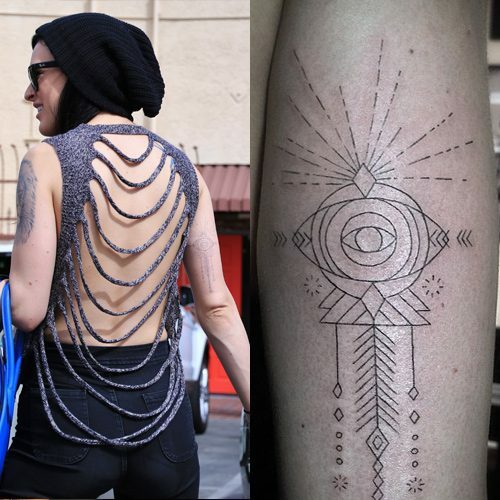 Rumer Willis has a script tattoo on her bikini line.